How can Morgan State Be The Only Black Institution That Is Nationally Treasured? I surely don't need any historical society to define it as a national treasure. It also isn't the only Black university that should be defined as such. Any of these black institutions that still stand today after all the struggles, barriers, insults, economic shortcomings, and concerted racist efforts to close them down are DESIGNATED NATIONAL TREASURES. I wrote this essay last week but I didn't want to post it until after Morgan State University's Homecoming because I didn't want to take away any luster from our family's celebration. My question is what defines a National Treasure when the seeds of oppression have constantly be directed at the extermination of each of black institutions? This is" The Blackman's Blog" interpretation of a National Treasure. Should Morgan State University be any more treasured nationally in our communities than A&T, North Carolina Central, Tuskegee, Hampton, Virgina Union or any of our schools that still are standing? Last year as Morgan State University was entering its 150th year of its founding in 1867. The school was deemed the second historically black school to be deemed a national treasure along with the Mecca of Black Education, Howard University. 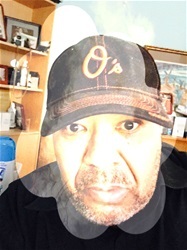 In my mind, and take no offense Morgan State University because you are indeed my alma mater but of every college and university of African-American descent is the only designated "National Treasure" schools are Howard and Morgan? 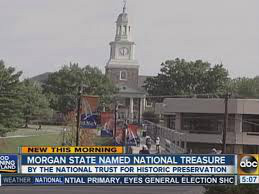 How is it that Morgan State University is anymore a national treasure than say Hampton, A&T, The A&M's Alabama & Florida, Tuskegee, Bowie State, Delaware State, Alcorn State, Texas Southern, Lincoln, Southern, The States South Carolina and Alabama, Grambling, Central, NC Central, Morehouse, Spelman, Johnson C. Smith, Bethune Cookman, Delaware State, and the other colleges that bear our illustrious black history. Each of these schools named along with others stood steadfast against the spears of injustice that were being slung by those with the primary interest of oppressing and suppressing black people's growth. I love Morgan State University but no way on God's green earth is Morgan State University and Howard University the only black colleges or universities that should be deemed as "National Treasures". You see each of those other schools created pearls, diamonds, and jewels that will be forever identified as our own national treasures. When our history in this nation is written centuries from now about the vast contribution of our brother and sister schools; many, if, not all will have multiple treasures to be honored nationally. Right now they are deemed National Black Treasures by The Blackman's Blog.